Many factors should be considered when designing your website. What purpose will it serve? Will it be strictly for marketing, or to process transactions, or for some other purpose? Who will the primary users be and what expectations will they have? Do you want to capture data and if so how will the data be used and by whom? How bold or conservative should it be and how does it fit in with your corporate branding, identity and culture? We’ll consult with you on these and other questions to identify the best alternatives. 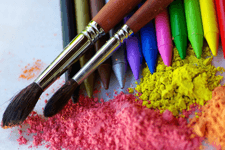 You may be able to achieve your goals using readily available themes and stock media. Or you may opt to pursue something that will be uniquely yours, or perhaps something in between. Your budget is often the determining factor. We’ll help you navigate through the options so that you arrive at a decision that you are both happy and comfortable with. Once we understand your needs and objectives, we’ll get to work using the alphabet soup of today’s programming languages and tools. To keep your costs down, we use open source resources to achieve your goals. These are secure, reliable, scalable and produce great results. We’ll review our progress with you through out the development process to ensure it remains consistent with the design plan and your goals. During these meetings it’s not uncommon for clients to have new ideas as they begin to witness their project come to life. When this occurs we’ll explore the implications to your budget and schedule so you can make an educated decision on whether to incorporate those ideas now, or as a separate project after the current one is done. Testing and training concludes the development process. Prior to going live, we can assist you with domain registration, SSL certificates and hosting arrangements if needed. Afterwards, if you continue to need us to provide maintenance, we can do so at an hourly rate or through a service agreement. 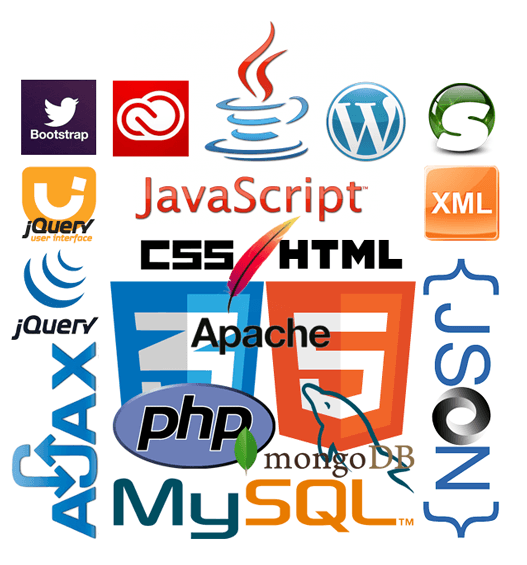 The last couple of years have seen an explosion of Application Program Interfaces, or “APIs”. APIs allow disparate applications, or websites, to share data. Using APIs allows you to extend the capabilities of your own web site to make it a more feature rich experience for your users. 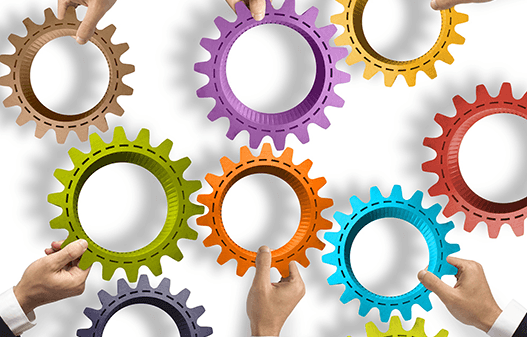 From a business processes perspective, they can streamline workflow to make your employees more efficient. Do your employees have to login to more than one website to perform their work? Do they copy and paste information between applications; or worse, print something from one system so they can type it into another? If so, then your company would likely benefit from API integration. Common API integrations include just about any form of social media or news feed. These can be interesting to your website visitors, and can enhance their experience. However, businesses are often unaware of existing APIs that can have a tremendous impact on their efficiency and profitability. Shipping APIs can be used to streamline the fulfillment process and reduce costs. Payment processing APIs can improve cashflow by enabling click-to-pay functionality, managing the collection of subscriptions and dues, ensuring PCI compliance and notifying you and your customers when a payment is declined or a credit card is about to expire. Scheduling APIs can allow users to see available times for appointments or resources and to self schedule themselves without waiting on hold, bouncing emails back and forth, or otherwise tying up your personnel. Mapping and location APIs can return efficient routes to improve delivery times and reduce fuel costs. The list is virtually endless. In fact, even if you aren’t aware of a need, scheduling some time with one of our experts may help you find areas of improvement. After all, you don’t know what you don’t know. Your use of APIs shouldn’t limited to what you can consume. You probably have data in the recesses of your existing systems that would be valuable to your customers, vendors or prospects. If so, we can help you create your own secure APIs, allowing you to improve your processes outside of your own four walls. 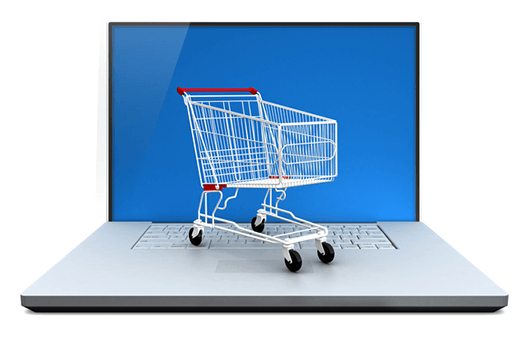 The downside to off-the-shelf e-commerce programs is that you may have trouble differentiating your site. Many others will be using the same program and have access to the same templates. You may also grow unhappy with features that the product offers. In either case, a custom e-commerce solution may be in your future and we’ll be glad to help! We’ll make sure you can easily add, update and delete products; cross-promote items; collect payment; send invoices; maintain inventory levels; and run reports. Your customers will be able to perform keyword searches; browse the store; add products to the shopping cart or wish lists; and instantly check out or create an account. And because its a custom solution, you can specify what it looks like, govern the customer experience, identify other systems it shares information with, decide what price books are to be used for what customers and just about anything else that comes to mind. 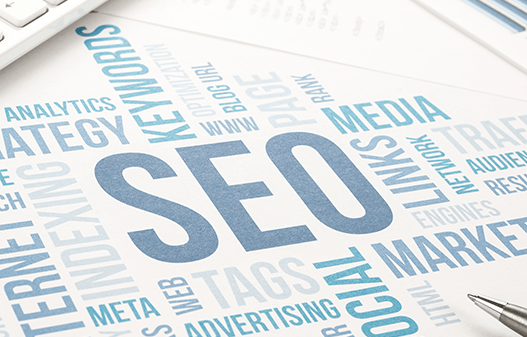 Search engine optimization (SEO) affects the ranking of your website in search engine results. Being on the first page of results is good! Being in the top 5 is even better! Improving your search engine ranking increases the likelihood that your website will be visited, and therefore the number of opportunities you’ll have to convert prospects to customers. There are good ways and bad ways to affect your search engine rankings. The good ways, or “white hat” ways, help improve search engine rankings organically. The bad ways, or “black hat” ways, attempt to improve search engine results by employing overly aggressive techniques that can get you banned from ever showing up in search engine results again. Search engines such as Google expend tremendous amounts of time and resources fine-tuning complex algorithms that identify and eliminate websites that use illicit practices to affect their results. Some pretty big names have been banned after being caught employing black hat methods. Avoid making that list! We use only white hat SEO methods outlined by Google’s Webmaster Guidelines to help all search engine providers find, crawl and index your website. That means making sure that your website has relevant content, is structured correctly, and has the proper enablers to allow search engine bots to explore and index your website. 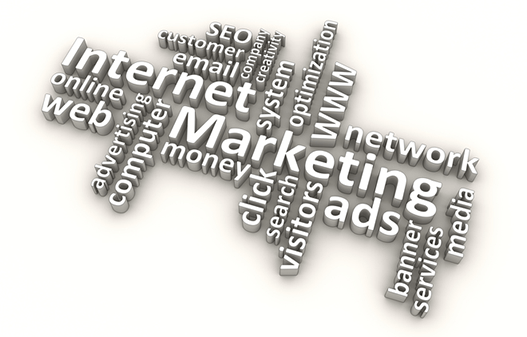 Employing a comprehensive internet marketing strategy can produce cost effective, measurable results. Internet marketing material can be deployed instantaneously, without the cost or scheduling constraints of traditional print media. The number of views can be tracked, the click through rate measured, and site visitor behavior recorded. All of this data can be extremely useful. Our internet marketing efforts begin by employing search engine optimization (SEO), search engine marketing (SEM) and social media marketing (SMM) methods. These build awareness within your target market, increase the visibility of your business, and provides you with an opportunity to collect data. We use the data to continually improve campaign effectiveness and most importantly, to generate leads. Next we establish an effective email marketing plan to nurture those leads and leads collected from unpurchased shopping carts, blog postings, registered customers, newsletter subscribers and others that may be available that you haven’t even thought about. By analyzing behaviors and gaining event awareness, we can be segment your prospects and assign them to organized drip campaigns that kick out emails at the right time, containing content relevant to that moment. A simple example of this is the email you likely receive from Amazon wishing you a happy birthday, or the coupons your car dealer sends when it predicts (or even knows) that your car is approaching a maintenance milestone. More elaborate campaigns can dynamically sequence marketing emails based on specified intervals and/or a prospective customer’s behavior. When you employ these methods in a way that collects data that you can analyze and use to measure effectiveness and drive revenue… Well, it gets pretty cool! Keeping your website up-to-date is incredibly important if you want to continue to get interested visitors and attract search engine bots. And you shouldn’t have to rely on a company like Eniture to do it for you. In fact, we encourage you not to! 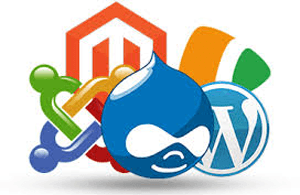 We can customize a content management system (CMS) so you to easily maintain your website on your own. Our customized CMS will allow you to add, remove and update your existing pages. We’ll tailor your access to to the types of things you’re comfortable changing. If you are only comfortable updating the text on certain pages, we can restrict your access to allow only that. Want the unrestricted ability to change anything and everything? We can do that too. We can also introduce user administration capabilities with defined roles so you can control who has access to what pages, and control the degree of freedom they have to make changes to those pages. Too many companies miss the opportunity to transform their websites from an informational site, to a transactional site. Yet every business is in the business of processing transactions. Whether you provide products or services, your business can’t be successful unless you collect payment. We can show you how to move the collection of payment information to the front of your processes, and then avoid the time and labor of processing the payments once you’ve concluded the transaction and payment is due. 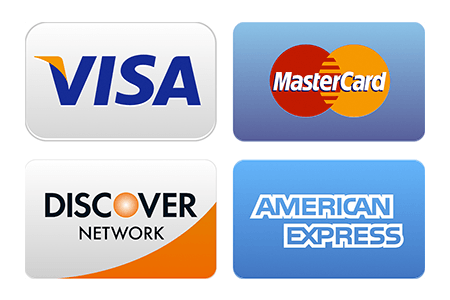 Its more convenient and secure for your customers. For your business, it improves cash flow and eliminates the risk of your employees improperly handling credit card information, or losing cash or checks. Our payment processing solutions meet the Payment Card Industry Data Security Standard (PCI DSS), commonly referred to as “PCI compliance”. You’ll never store a credit card number in your web application or database, so you won’t ever be faced with the embarrassing task of informing your customers that their credit card information is at risk because you were hacked. Of course, if you have a merchant banking or online payment processing relationship you’d like to preserve, but need someone to integrate it into your existing systems, we can help with that too.